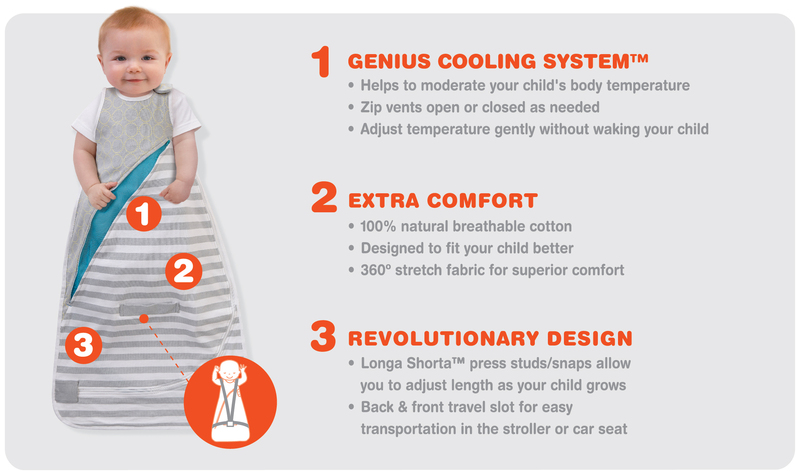 Breakthrough Genius Cooling System helps you moderate your baby’s temperature. Zip open or close as needed without waking your baby. 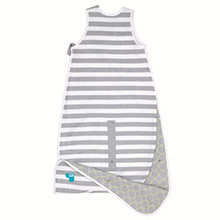 Snaps allow you to adjust the length as your baby grows and avoid unnecessary loose fabric. 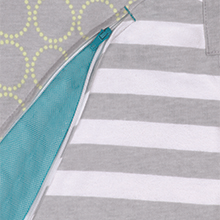 Extra-long two-way zipper allows for quick and easy diaper changes. Opens fully flat for easy access in and out of the sleep bag. Luxurious and super-soft 100% natural, breathable cotton with 360° stretch for superior comfort.